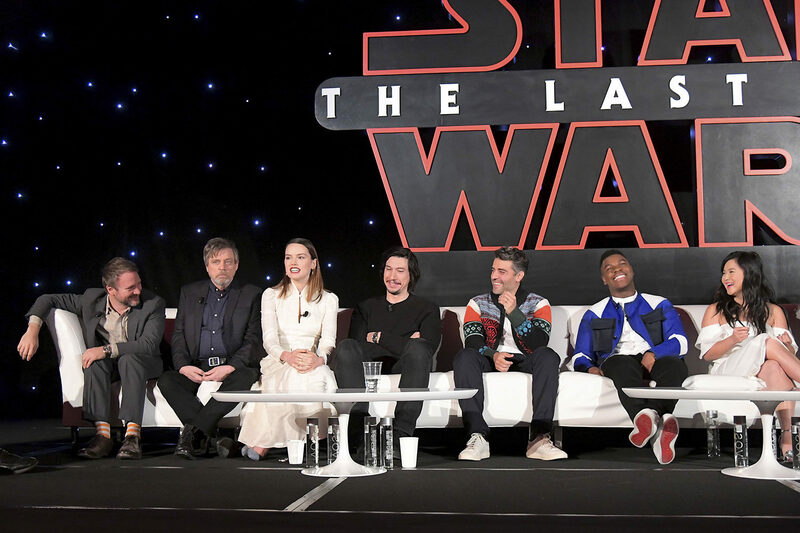 Star Wars: The Last Jedi is rapidly approaching its December 15 release date and the delightful cast and its director have been making the press circuits world wide, including a stop in Los Angeles where a press conference was held. While it is difficult to promote a film without saying anything about it, seeing the genuine excitement they all have and the affection the entire cast has for one another and their director is contagious and, it worked. 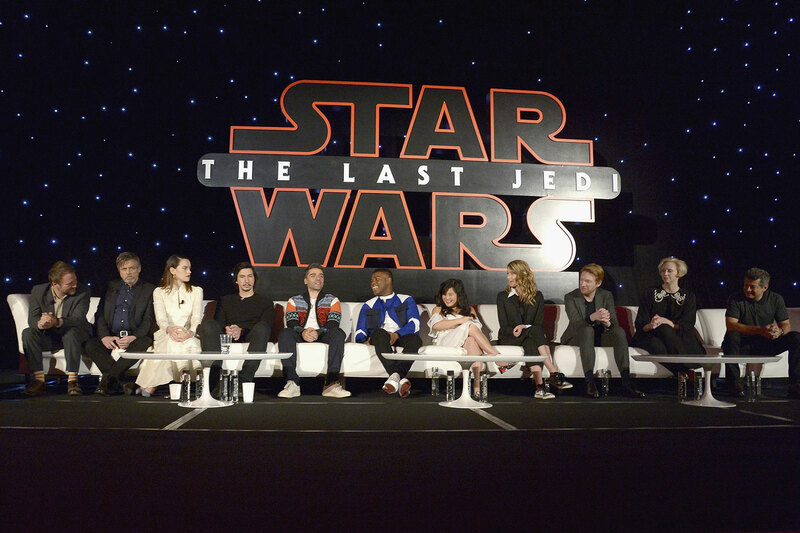 Below are some highlights from the conference, with Director Rian Johnson, Mark Hamill, Daisy Ridley, Adam Driver, Oscar Isaac, John Boyega, Kelly Marie Tran, Laura Dern, Domnhall Gleeson, Gwendolyn Christie, and Andy Serkis; moderated by Entertainment Weekly’s Anthony Breznican. ANTHONY BREZNICAN: This is a sequel to The Force Awakens but it’s also Episode 7 in a series. So Rian, what would you say differentiates The Last Jedi from The Force Awakens, but also the Empire Strikes Back as a second chapter in a trilogy? 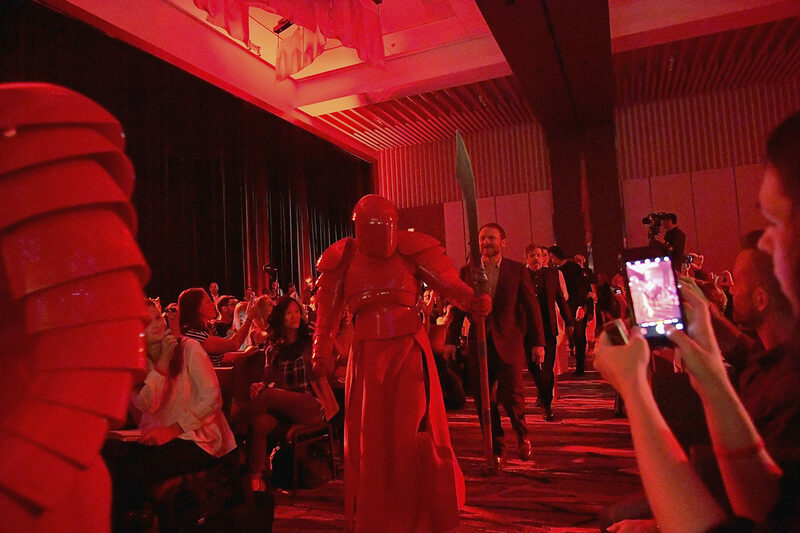 RIAN JOHNSON: This is very, very exciting. So yeah, it’s a second movie in the trilogy and I think we’ve been kind of trained to expect it’ll be a little darker and obviously it looks a little darker and the thing is though for me I loved the tone of the original films and also that J.J. captured in The Force Awakens of fun, and that’s like to me it’s a Star Wars movie, you know, first and foremost we were trying to make it feel like a Star Wars movie. And that means you have the intensity and you’ve got the opera, but it also means that it makes you come out of the theater wanting to run in your backyard, grab your spaceship toys and make them fly around, you know, and that’s a key ingredient to it. So we’re going to go to some intense places in the movie but I hope also it’s fun, it’s funny. I don’t know, you’ve seen it. ANTHONY BREZNICAN: Yeah, you guys have seen it. [LAUGHTER] Well, for some of the cast who was in The Force Awakens, how would you say this film feels differently? ANTHONY BREZNICAN: How would you say this film feels different from The Force Awakens? What sets it apart from that film? ANTHONY BREZNICAN: Let’s hear from the bad guys. The bad kids always sit in the back at the party. Domhnall, Gwendoline, Andy, any thoughts on just the tone, how this movie distinguishes itself among all the different Star Wars films? ANDY SERKIS: I mean, I was blown away when I saw the movie. I just was so caught up with it, not least because it was really intimate and very emotional and I wasn’t expecting that at all. I mean, I know obviously that it was going to go that way, but it was very, very powerful and it touches you and what Rian’s done incredibly is make this dance between the – you know, [SOUNDS LIKE] tonally dance, you know, between these great kind of epic moments and hilarious antics, you know, literally flipping on a dime and then going right into the heart of these beautiful characters, and you really caring. And I think that was, for me, I think has been, you know, that was my takeaway, it was just an extraordinary viewing, you know. RIAN JOHNSON: I would be thrilled if Laura Dern could represent any part of me in life, I would be thrilled. Yeah, Holdo, I mean, Laura, I’ve been wanting to, you know, it’s a dream just to get to work with her. And the character that she plays in all of its glorious purple-haired wonder, we were really able to dig in and do some really exciting, fun stuff. And Laura, I know that like the moments on set where like suddenly you would like catch my eye and you would say, this feels like we’re making an independent film, like those were the moments that I was like, yeah, it kind of does, and I think that feels really good and that kind of intimacy of the process, I think. I don’t know. If Laura Dern’s telling you that, then you might be on the right track, I guess. LAURA DERN: And just to add to that, what Rian spoke to, that he does so beautifully as well as Andy was describing the intimacy of discovering each character’s conflict, which is just extraordinary, given the enormity of the cast, that he gave us that in the experience of the workplace, and it was shocking, and Oscar and I always talked about just how stunned we were that we were in such a massive environment and did feel like we were, you know, making a indie movie and you were always encouraging us to try things and explore character, and explore this duality of the light and the dark within characters, the movie speaks to so beautifully, not just that there are alternative universes but that that lies within, which seems to be the place that George Lucas first started the mythology of that, and it’s just so brilliant. And a group of us sitting together watching it for the first time was amazing ‘cause it was like we were with 3,000 people. We were screaming, standing up, crying. ANTHONY BREZNICAN: That’s very good. I think we’ll open it up then to the audience for some questions and just raise your hand, we have some microphones that are going around, and I’ll try to call on as many of you as we can get. 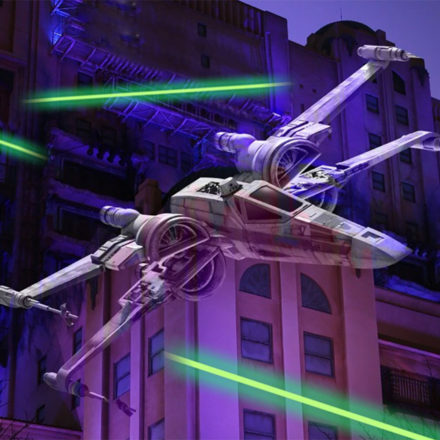 PRESS: What about the visual cues from The Empire Strikes Back really spoke to you? RIAN JOHNSON: Yeah. Well, I mean, my cinematographer Steve Yedlin who I’ve been best friends with since I was 18 years old, we met in film school, and so to be standing next to each other on the Star Wars set was pretty surreal. But I mean, I think Empire is, you know, I think it’s just the most beautiful – I mean all the films are beautiful – I think for my just tastes, I think the cinematography in Empire is the most gorgeous of the whole series. And so Steve and I looked at the lighting in that it’s also kind of the most – it’s pretty daring in terms of how dark they were willing to go with some of it – literally dark, and how gorgeous they went with some of the choices they made with the shaping of the lighting. But then in terms of like an actual visual aesthetic I made a choice very early on that I thought, well, I can either try and kind of copy my idea of what the original movies did, which was much more of kind of a formal, the camera didn’t move a ton and it was a much more formal type visual aesthetic, or I realized, you know, we’re going to take visual cues lighting wise and design wise from, you know, the previous movies, but I need to just shoot this movie the way that I would shoot a movie, because at the end of the day, if I’m not engaged with it, and I’m not trying to tell the story the way that really makes me excited, then it’s not going to be up there on the screen. So I kind of cut myself loose camera movement wise and shot wise from trying to imitate the past and just try to tell the story as excitingly as I could up on the screen. 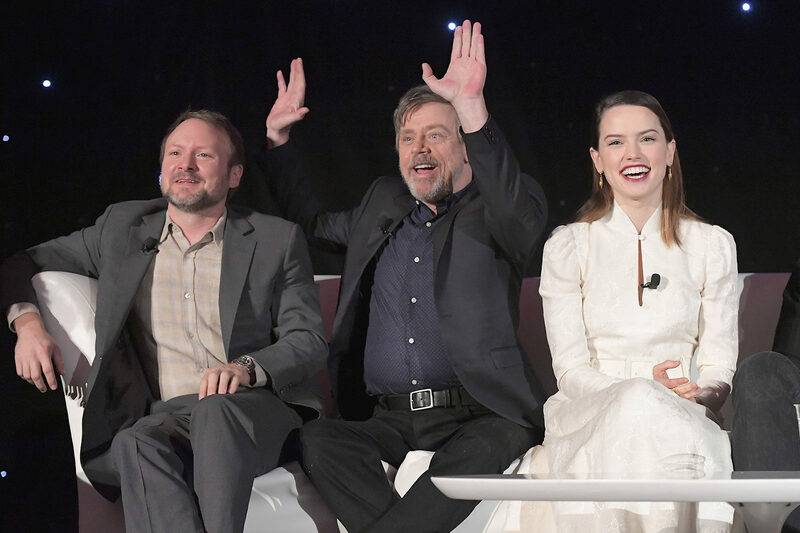 PRESS: My question is: Will we see Ewoks in this movie? And possibly will they battle the Porgs? 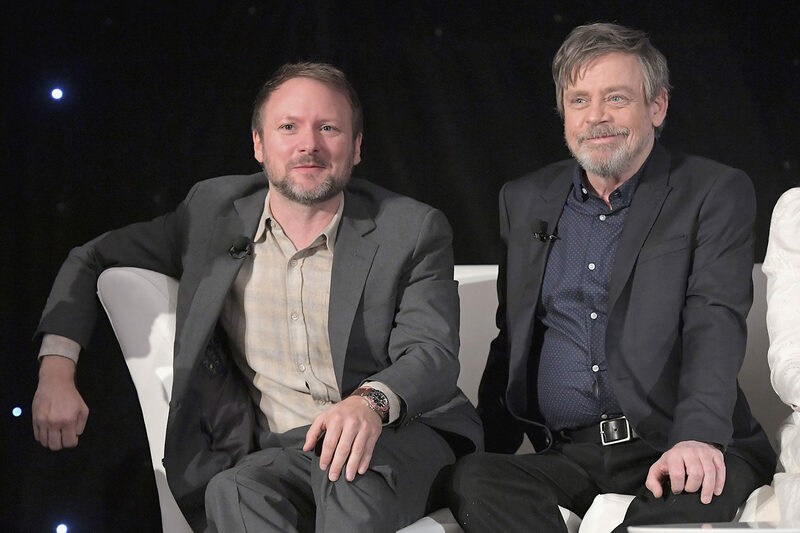 RIAN JOHNSON: It depends what drugs you take before you go in. ANTHONY BREZNICAN: Let’s take another question. Jenna, yes. PRESS: So there are way more female characters in this move, certainly in the first three movies. That’s going to mean a lot to little girls. I want to know what it means to you guys. DAISY RIDLEY: I think like as a girl growing up in London, obviously I knew there was a disparity in films but I wasn’t so aware of it, like growing up in a liberal household. I was never really made to feel any one way. So when I got involved I didn’t really – like, I knew it was a big deal, but the response was so beyond anything I could have imagined, that I’m still like – it was only afterwards I was like, oh, oh yeah. And it’s not like I ever took it for granted or anything but it was just so monumental, the response and how people felt about it, and obviously that’s a testament to Kathy, J.J., Michael, Larry, everyone who created the characters in the beginning, and I think what’s great about everyone is it’s not like she’s a girl, this is a guy, this is anything, everyone’s just, it’s just great characters that happily are falling into broader categories now, so I’m thrilled. Yeah. PRESS: This question goes out to Daisy, Adam, John and Oscar. Last Force Awakens, you were the new kids on the block. You had Carrie, Harrison and Mark to set the tone and lead the way for you to step into these roles. 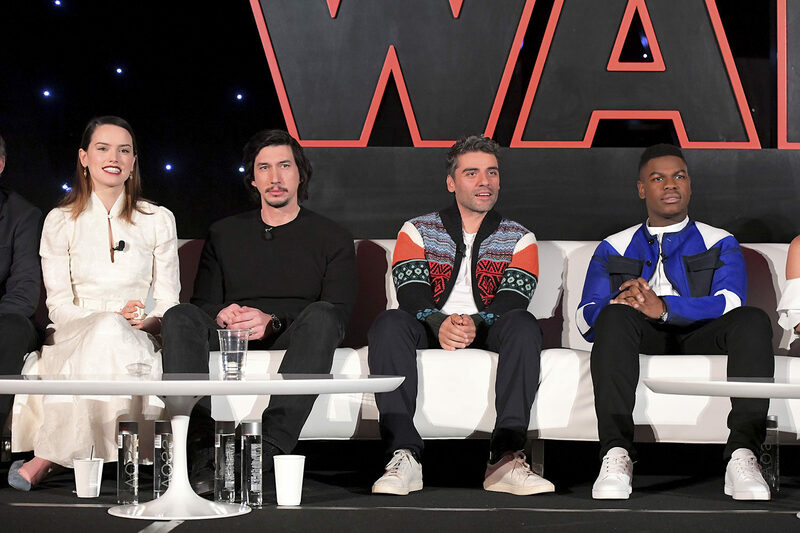 You guys are now leading the way for a next generation of actors to come into the Star Wars world. How much – did that place any kind of onus on you and any sense of responsibility in addition to that, inherent to your performances? 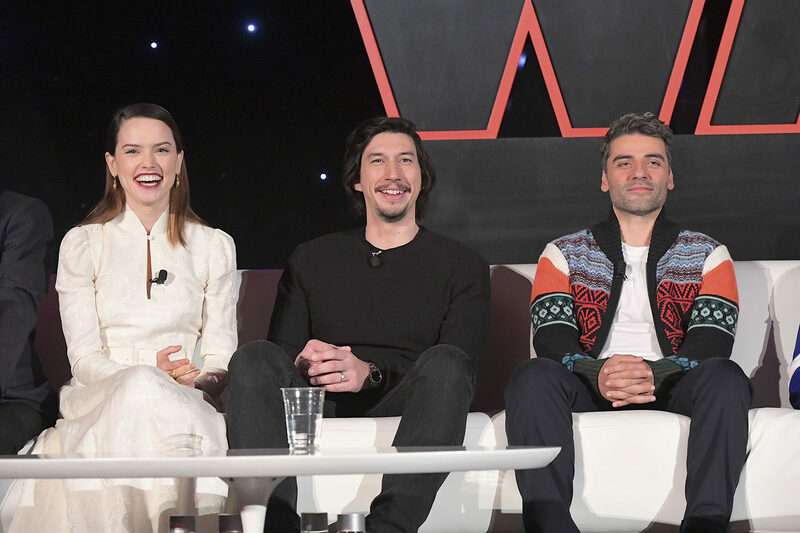 ADAM DRIVER: No, I don’t think so in that the lesson that I learned from the first one from Mark, Carrie and Harrison is not so much telling you and other people that I’ve worked with, it’s not telling you what your experience is going to be because we’re all different and we see the world differently. That’s kind of an obvious thing, but kind of similar to almost the question before. It’s hard to impose an idea on someone that you kind of don’t know. I think it’s everyone’s relationship to – certainly within them I would imagine is different, and that’s kind of for them to discover, and it’s almost more generous to, you know, give someone space, to make it personal to them. I’m not really sure what that means, but what more, that they weren’t kind of let me tell you what it’s going to be like, ‘cause no one really knows, and I think that they would say even for them coming back to the movies, to this movie, after so many years, that I think they, I mean, maybe Mark can speak better to this, that even they have to figure out what it means to them. So I think they’re kind of lead by example people, that’s kind of what I’m avoiding saying ‘cause it’s so cliché, but it’s more powerful I guess when you see it in action. So I think that none of us took it upon ourselves to tell people how it was going to be for them, because we’re not them, you know. PRESS: I wanted to ask the director, To see you at the celebration and all the things that you participate to see that you’re a fan, so I wanted to know, at what moment as a filmmaker, whether it was in the screenwriting process or shooting something, did you feel your transition from fan or felt ownership as a filmmaker of the Star Wars movie that you were making? RIAN JOHNSON: Oh, I keep waiting for that moment to happen. Even standing up here, I see the big Star Wars behind me and I’m like, well, do I belong under this? Yeah, it feels very – there’s no like Eureka moment where it’s like now, I’m doing it. You’re always riding that line between feeling like you’re a fan who snuck in the back gate and is getting away with something, which I think is probably a good thing. I’d be curious to hear John, just because you’re the biggest fan I know in the world. JOHN BOYEGA: I’m still trying to get over it. I can’t lie. Because I think what we forget is that when we filmed Force Awakens it was about two years between then, before we started on Last Jedi, and we went obviously to do other stuff, and then when you come back it just feels like you’re back in school, you know, and it’s fun. Every day was a new set. The practical effects I think like doubled in this movie, the sets were bigger and it’s always exciting and amazing, but as everybody has said, you still feel an intimacy when you’re doing these scenes, you know, and independent with a big budget, you know. 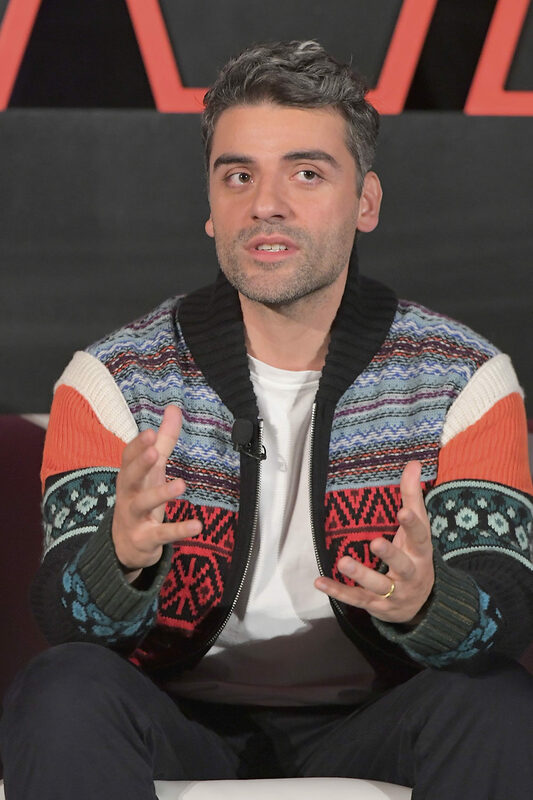 OSCAR ISAAC: An interesting thing, going back to one of the things about the question about the strong women in it, because think as a guy I’d like to say that for me the most formative people in my life have been women. And so that has shaped my destiny so much and so to see that reflected in the film is really, really a beautiful thing, and it does, it is more true to real life and what’s happening now, but what’s always happened which is, you know, they’re the ones, you know, that shape you. ANDY SERKIS: Well, speaking as the leader of the First Order, I would say that Snoke is very unimpressed with the fact that there is such a huge female force that seems to be growing in the universe. Its deeply threatening, it’s deeply undermining, it’s got to be stopped, it cannot go on, and this we see – without giving too much away – a little snatcho in this movie. ANTHONY BREZNICAN: Going back to Jenna’s great question about women in this film and female characters in Star Wars in general, well, for a long time when I was growing up there was really only one character, and that was Princess Leia and now General Leia, and of course Carrie Fisher isn’t here with us today except probably in spirit, giving everyone the finger from back there. But I wanted to ask the women in this film about the impact that Princess Leia had on generations of young girls who were watching these movies, even though there wasn’t a whole lot of variety for them. I think this is a character that spoke to them and Gwendonline speaking as one of the idols of the bad girls, as Captain Phasma, what role did Leia play in your life as a young Star Wars fan? LAURA DERN: Well, endless thoughts and also you know, a profound impact that she made on me as a girl, and spoken so beautifully by Gwen, so I’ll just speak to this present experience, to say that as we always had with Carrie, not just Leia, her wisdom, and you know, people speak about people who are brave or fearless, but beyond that, I’ve known luckily a few people that would hold those descriptions, but not that they would be without shame, and that’s what moved me the most about the icon she gave us, but also what she gave us individually and personally which is to Carrie, who she was so directly and to be without shame, and to share her story, and to expect nothing less from any of us. And the privilege of watching how Rian has so beautifully captured all of that and her grace in this amazing, beautiful, pure performance, but also I think she found an equal irreverent subservice and they had this dance that gives us this performance that I was just so moved by. DAISY RIDLEY: – and wonderful. DAISY RIDLEY: And I think Carrie bringing up a daughter obviously with Brian, bringing up a daughter who is all of those qualities and then some, in this world, if that’s what she did, you know, just her being her, I think it speaks volumes to what she did as her in the spotlight and also her as Leia. 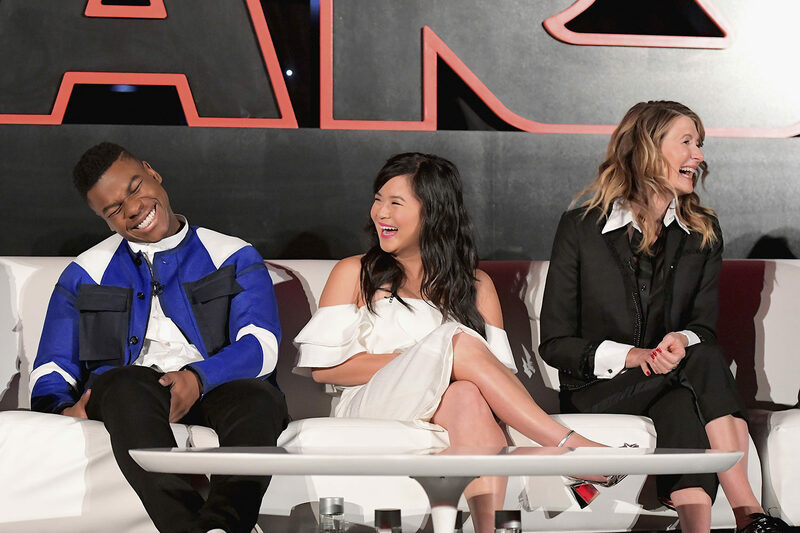 KELLY MARIE TRAN: Yeah, I mean, I agree with everything that was said. I think that something about Carrie that I really look up to is, and something I didn’t realize until recently, was just how much courage it takes to truly be yourself when you’re on a public platform or when possibly a lot of people will be looking at you, and you she was so unapologetic and so openly herself and that is something that I am really trying to do, and it’s hard. And just like Daisy said, like Laura said, like Gwendoline said, I think that she will always be an icon as Leia but also as Carrie. What an example, you know? And I am so fortunate to have met her and I think that she will really live on forever. Disney & Tim Burton’s new Alice in Wonderland film had several props and exhibits on display around the Expo.